Saunders & Lingard - News- Earn Fabulous Referral Rewards to spend at John Lewis ! Earn Fabulous Referral Rewards to spend at John Lewis ! It`s just our way of saying THANK YOU as we introduce our fabulous new scheme to reward anyone who refers a new client to us that has a property they wish to sell...and these vouchers are worth £50 each to spend at John Lewis! Terms & Conditions Apply: The voucher must be presented to Saunders & Lingard fully completed prior to any property valuation. 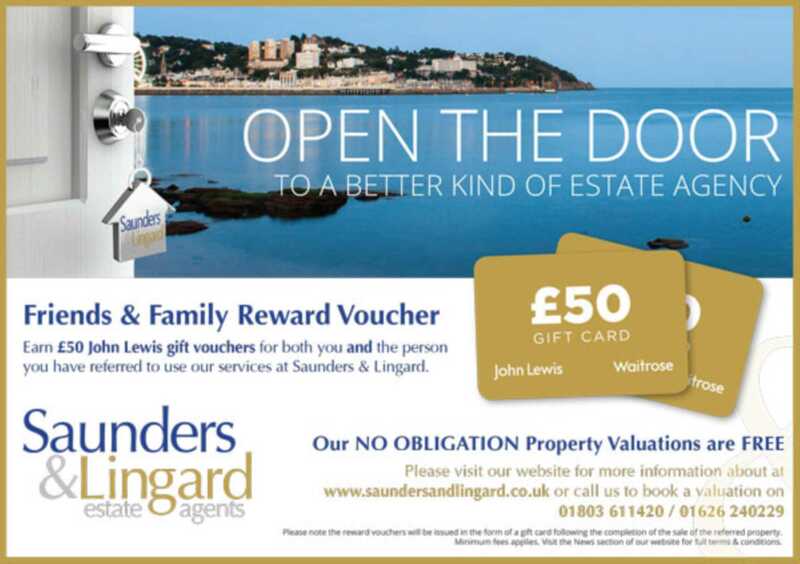 The John Lewis vouchers will be issued in the form of gift cards following the legal completion of the sale of the referred property by Saunders & Lingard. No cash alternative will be offered, and this incentive cannot be used in conjunction with any other discount or promotion.